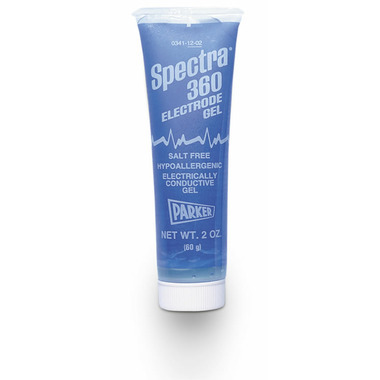 This high quality conductive gel is salt-free, non-irritating, and hypoallergenic. Brings TENS pads back to life. A small dab makes for excellent adhesion. Been using this for years with my Heart Rate Garmin, Polar, and others. No longer have spikes in readings. Dries out WAY to quick! Works well with my Garmin HR strap. On my 3rd bottle. Great stuff. Bon produit, je l'utilise pour ma montre cardio frÃ©quence, j'ai beaucoup moins de variations de signals depuis. Impossible Ã trouver en pharmacie. Just received my second order of this product. Works very well and a little bit is all that is needed to make positive contact. Buy it! Perfect for use with heart rate monitor !!! Helps to prolong the life of your electrodes. If using for an extended period of time in the same location repeatedly, this will help reduce skin irritation. Tube will last for months, a little goes a long way. Great price. It does the trick. Consistency of the gel is good. I use this product with my EMS facial tool. It's great and stays moist for a long time. Highly recommend for this use! Awesome, great with heart monitor. Product seems to work great, and I was impressed with the quick service of Well.ca in shipping it here, as well as the ease of using their site (and acceptance of Paypal too--more outfits still need to do this!). Works great, helps reduce skin irritation for extended users. Use with an Ad exercise belt, and works great. At a much better price than the expensive replacement pads. Excellent used with heart rate monitor chest transmitters. Gives long lasting performance and is easy to clean afterward. Only a small dab is required so one tube will last months or more of regular use.